As we get older, our priorities change. Some things loose their importance and we enter a new phase in which (at least in some areas of our life) we are more relaxed. In many cases, 40 year-old men may experience a new challenge when it comes to their style. A 40 year-old body usually will not look the same way a 20 year-old body would with the same set of clothes, some things will not fit as well, others may just not accentuate things the right way. If you are the type of man that enjoys dressing with style and elegance, then we offer 20 tips to help you choose more wisely what to wear and what not to wear. A tailor becomes a necessity for the man that cares about how he fits into his clothes. being honest we could say that most men will need one as is really uncommon to have the kind of body shape that just fits into anything effortlessly. 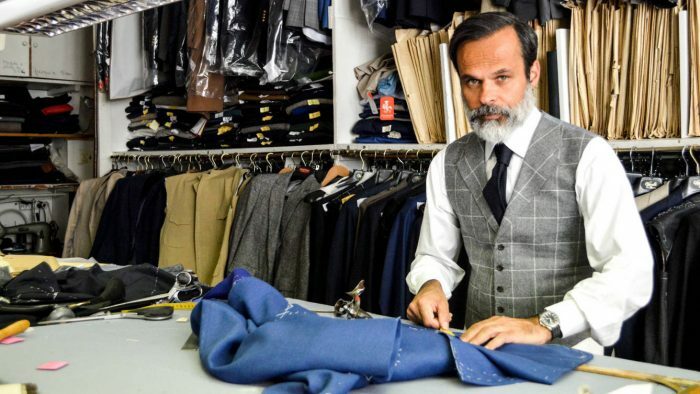 A tailor can alter your clothes to make them look and fit better, ad new things to old looks and even create new pieces of clothes . this may be a bit intimidating because at the end of the day you will have to give instructions on what you want (unless you’ve seen the tailor’s style before and trust him enough to let him do his thing) and this may involve knowing way more about clothes and fabrics than you know now, this actually doesn’t have to be a problem because is the time to get creative and get to wear what you’ve always wanted. How much sport should your kid be doing?